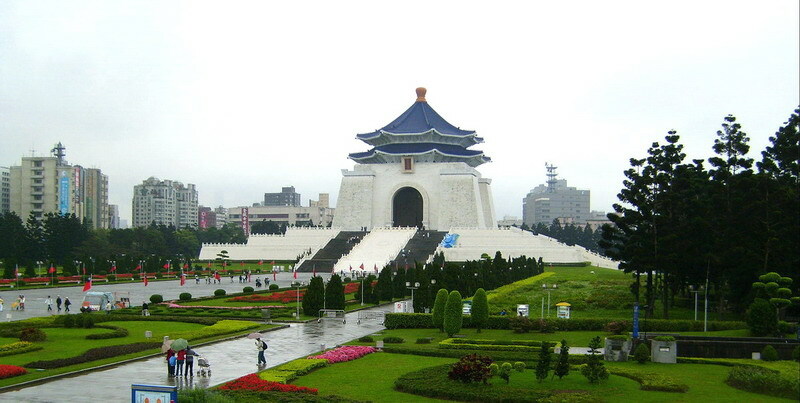 Chiang Kai-Shek Memorial Hall in the centre of Taipei City. Memorial Hall was opened on the April 5th 1980 - the 5th anniversary of the death of Chiang Kai-Shek. Chiang Kai-Shek (1887-1975) was a Chinese military and political leader of Kuomintang after the death of Sun Yat-Sen in 1925. Chiang was a president of Taiwan (Republic of China) between 1948 and 1975.